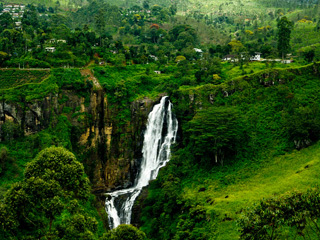 Adams Peak is Sri Lankas fourth highest mountain at 2244m and is located 40km northeast of Ratnapura. 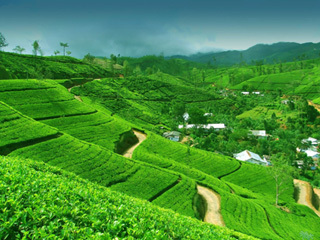 Adams Peak or the Sri Pada is an important pilgrim site. 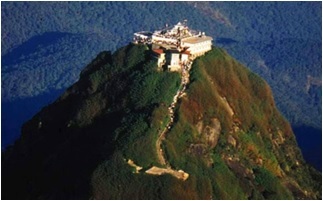 Buddhist believe the impression on the summit is the footprint of lord Buddha himself. 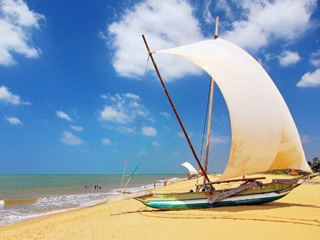 Alankuda Beach is a stretch beach recently developed in the Kalpitiya peninsula off the north western coast of Sri Lanka. 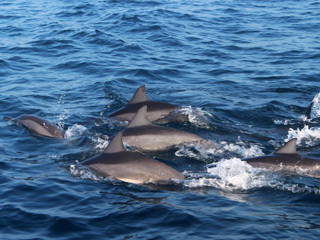 Alankuda Beach is a starting point for off shore Whale Watching and Dolphin watching at Kalpitiya. 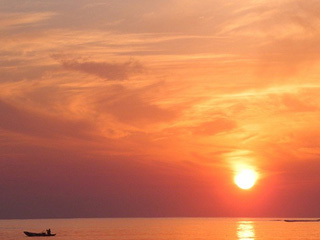 Alankuda Beach offers a range of water sports – sailing, wind surfing, kayaking, canoeing, kite surfing and snorkeling. 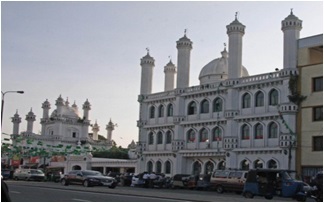 Dawatagaha Mosque in Lipton Circus, Colombo, has become a byword in every Muslim home and no Muslim passes the shrine of the saint without paying his respects. 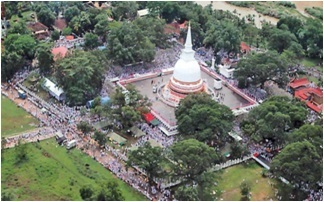 The Most Visited temple in the city, the Gangaramaya Temple which organizes Sri Lanka's largest and the most colourful Vesak festival annually, has a history of 120 years. 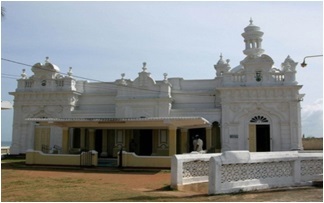 It was established in 1885 by Venerable Hikkaduwe Sri Sumangala Nayaka Thera at a time when Buddhist and cultural resurgence were much needed. 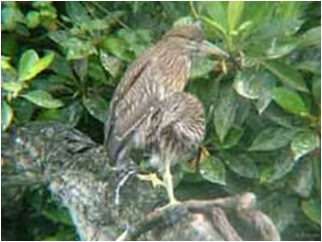 The latest addition to the 5 botanical gardens in Sri Lanka, the Seethawaka Wet Zone Botanical Garden in Avissawella was opened to the public towards the latter part of the year 2014. 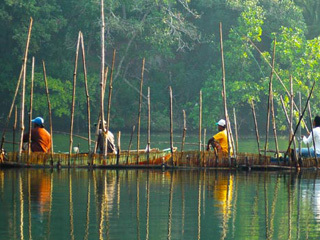 The Gampaha Botanical Gardens spreads over 43 acres of beautiful landscape with the lake developed beside the garden. 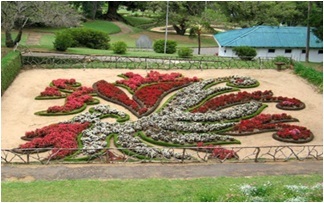 It is generally a well tended garden displaying a wide range of plants. 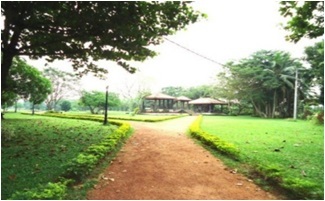 Medicinal Plant Garden at Ganewatte offers an ideal site for cultivating a large number of medicinal plants. 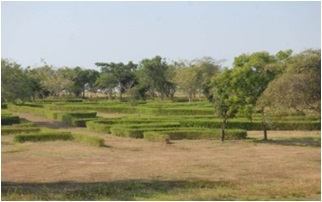 The garden is 52 acres in extent. About half of the land is occupied by coconut cultivation and 22 acres are occupied by a collection of tropical plants that are used for medicinal purposes. 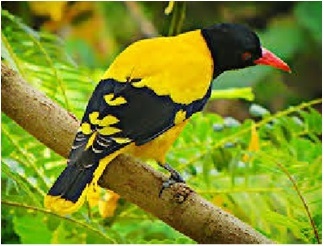 There are five botanical Gardens in Sri Lanka – Royal Botanical Gardens, Hakgala Botanical Gardens, Henarathgoda Botanical Gardens, Mirijjawila Botanical Garden and Seetawaka Botanical Garden. 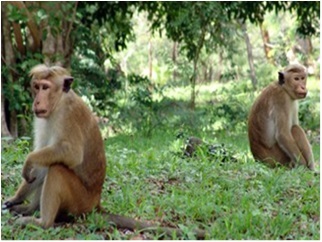 The Hakgala gardens are the second largest in Sri Lanka. 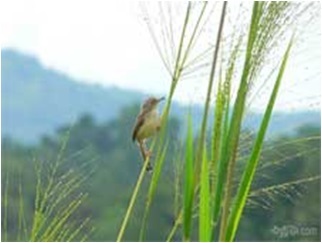 Dry Zone Botanic Garden is currently being established at Mirijjawila in the Hambantota District in an area of 300 acres. 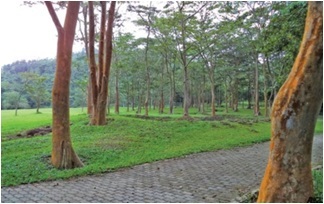 This is the first Sri Lankan botanical garden developed by local experts for the conservation of dwindling species of trees and shrubs, medicinal herbs, etc. 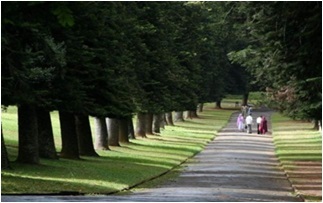 Royal Botanical Gardens Peradeniya – Botany is the scientific study of plants. 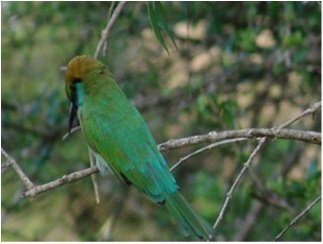 There are over 315,000 plant species around the world. 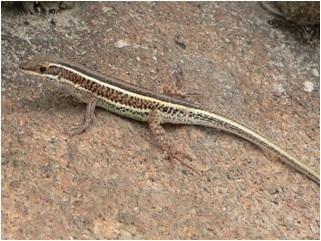 The number continues to increase as new species continue to be discovered. 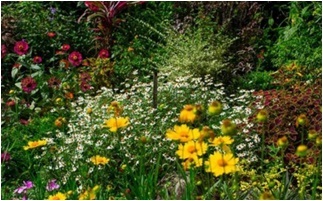 Botanical gardens aim to collect, cultivate and display as many plants as possible. 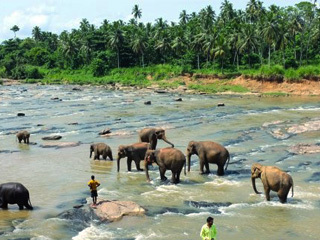 Kalkuda beach is located 282km east of Colombo in the eastern coast of Sri Lanka. 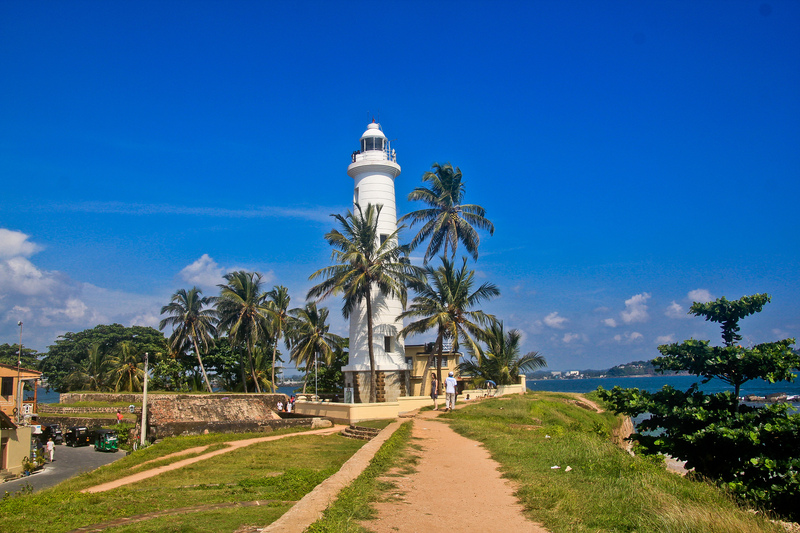 Passekudah beach is located just south of Kalkuda beach. 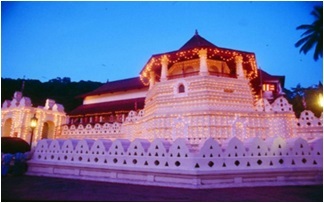 Kelaniya Temple built on the banks of the Kelaniya River is one of the most sacred sites of Sri Lanka. 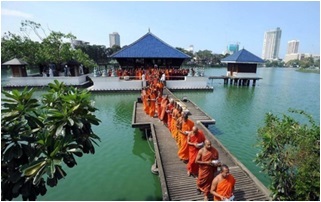 It is believed Buddha together with 500 Arahats – Supremely enlightened beings – visited Kelaniya on the Wesek day of the Buddhist Era 2531 and expounding of the Dhamma, the Buddhist doctrine to the inhabitants of the island. 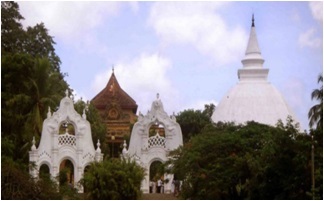 High on a rock in Beruwala, tall, white and towering, surrounded by coconut fronds, stands Ketchimalai mosque. 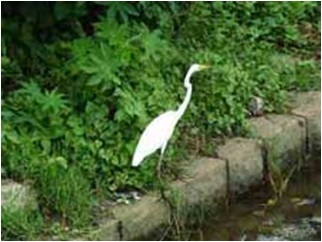 The ancient historic site has been a place of reflection and prayer for centuries, calling unto it every year, scores of pilgrims from all over the island. 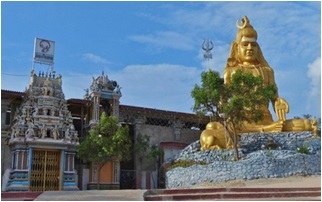 Saivites throughout the continent venerate Konesvaram temple in Trincomalee, Sri Lanka. 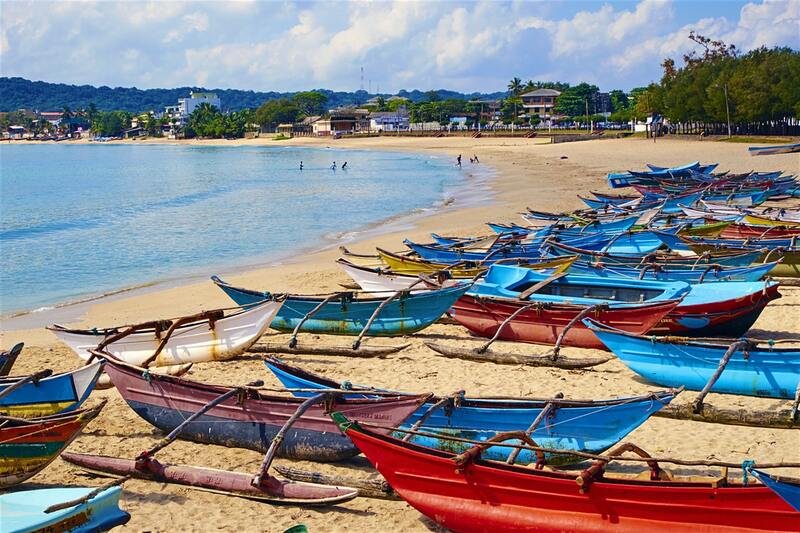 It is built atop Swami Rock, a rocky cape overlooking Trincomalee, a classical period harbour port town. 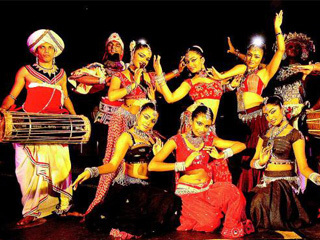 The primary deity is the Hindu God Lord Shiva in the form of Konesar. 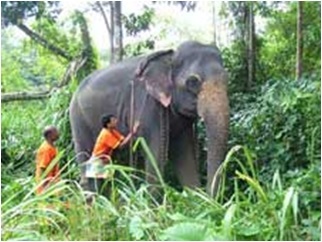 Tale of the temple Lankaramaya in Sri Lanka is a legend. 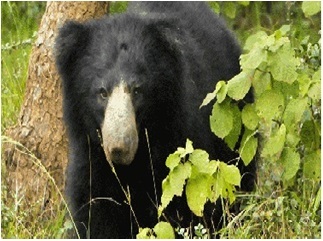 The year 103 BC was a memorable year for the King Walagamba of Anuraddhapura. 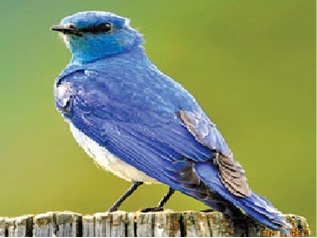 As the rightful king he had been attacked by invaders of the kingdom, and during that year he hid out at a place called Silasobha Khandaka and planned their defeat. 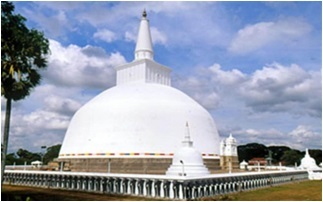 Lankatilaka is Buddhist temple of the 14th century in the Hiyarapitiya village, from the Udu Nuwara area of Kandy district in Sri Lanka. 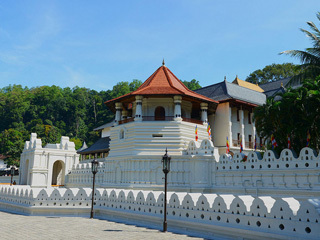 This historical temple was built by the Gampola king, King Buwanekabahu the fourth – 1341 – 1351AD – , in 1344 AD. 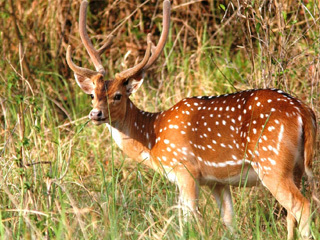 Yakkhas were living in Mahiyangana at the time. Buddha held a discussion on Dhamma with them. 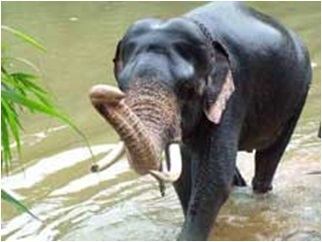 A Yakkha chieftain named Saman attained Sotapanna – liberation – after listening to Buddhas discourse and requested a token from Buddha that they could worship in his absence. 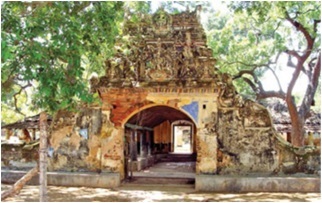 Medirigiriya Watadageya is one of the oldest ruins in South Asia, According to the historical records, Watadageya has build up before 1900 years. 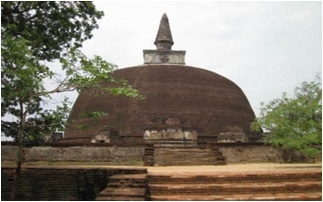 During the Polonnaruwa kingdom, it has build to protect the stupa from rain and sun. 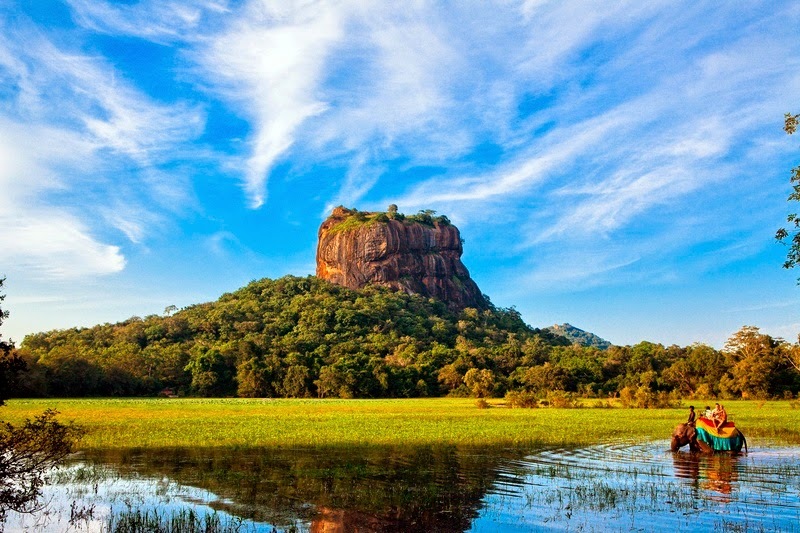 It is situated 40 km s away from Polonnaruwa. 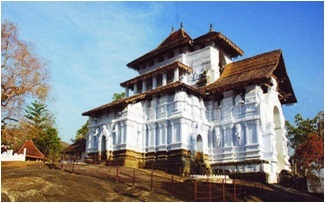 Naguleswaram temple is a very ancient temple believed to be one of the five Iswarams of Shaivism. This temple was built where the Sadhu Nagulaswami used to worship a lingam representing the male attribute . 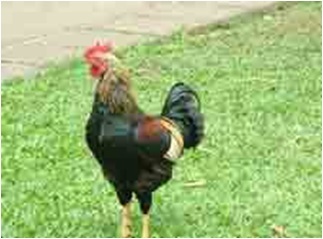 The lingam is often placed on a base, the yoni, which symbolizes the female. 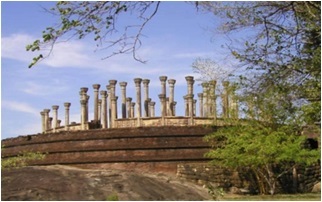 Polonnaruwa was the second kingdom of the ancient kings of Sri Lanka. 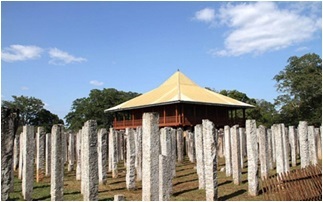 Following the older tradition of the kings of the first kingdom, the Polonnaruwa kings too saw fit to leave their footprints in the form of stupas. 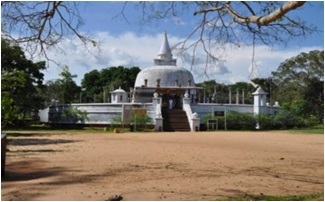 Ruwanweliseya in Anuradhapura was built by King Dutugemunu in the 2nd century BCE. Since being restored the dome is clear and shines white in the sun. Its height is about 150 feet, with a diameter of 379 feet and is now being restored by the pious contributions of pilgrims, and the efforts of the Chief Priest. 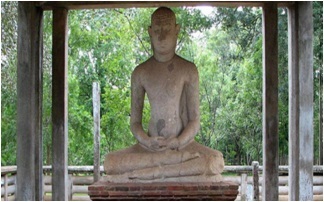 Samadhi Statue is a statue situated at Mahamevnawa Park in Anuradhapura, Sri Lanka. The Buddha is depicted in the position of the Dhyana Mudra, the posture of meditation associated with his first Enlightenment, also called Nirvana. 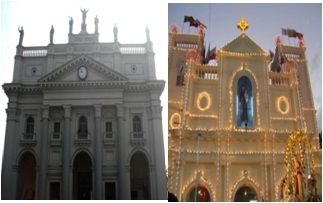 St. Lucia's Cathedral and St. Anthony's Church are two of the catholic religious places in Sri Lanka most visited by devotees. 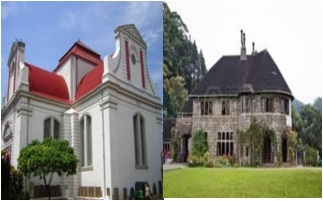 Wolfendhal Dutch Reformed Church was introduced by the VOC with its first church ministrations held in Galle on 6th October, 1642. 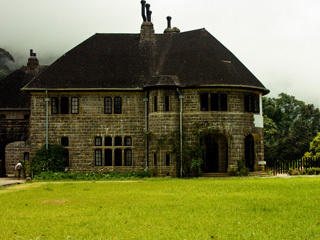 St. Benedict's Monastery is housed in the Adhisham Bungllow , a country house near Haputale, in the Badulla District.